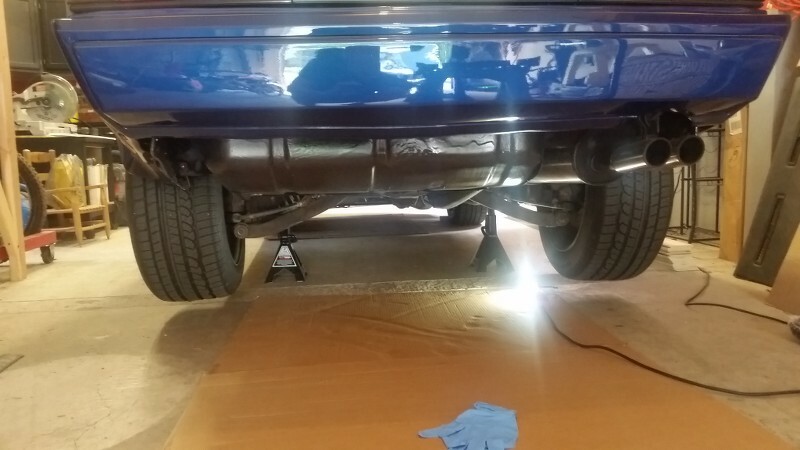 First, if you don't have access to a lift you need to jack up the rear of your car nice and high. It's going to probably end up being a bit of a messy (and smelly) job, so you might want to throw down some cardboard if you have any, esp. if you care at all about your garage floor. My metrics only go up to a 22mm and that wasn't big enough, so I had find a standard that fit the drain and fill plug. A 15/16 seemed to be the perfect fit. 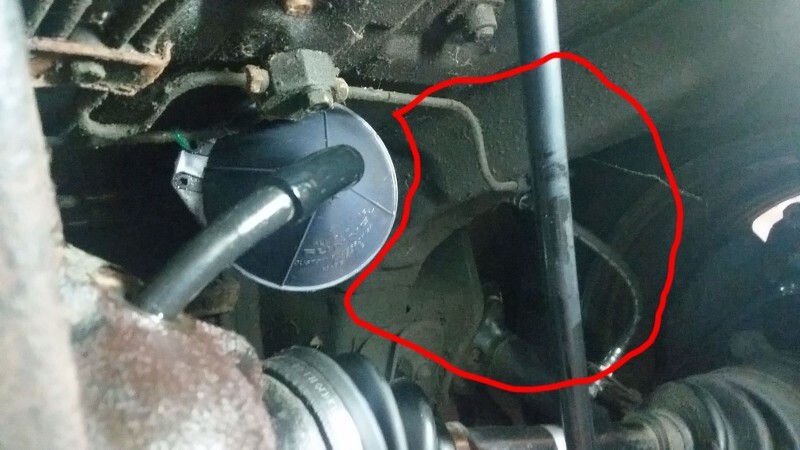 Because I was curious about whether or not my diff was even filled to proper level, I decided to crack the fill plug first. 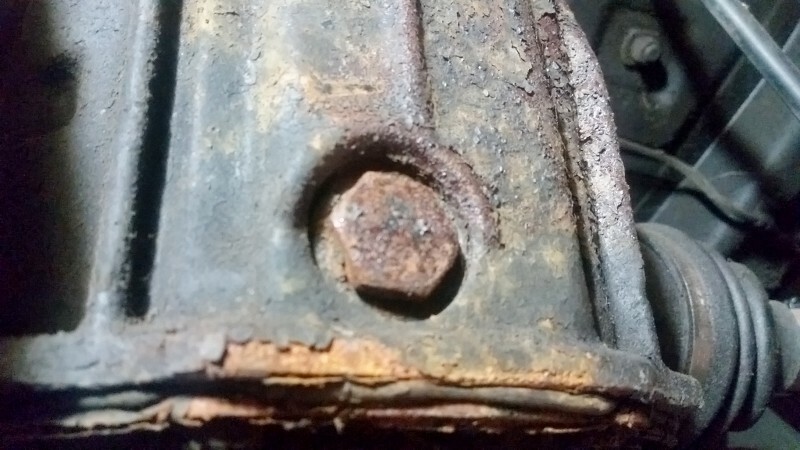 To my surprise, it actually was as I got a little bit of seepage once I cracked the bolt. 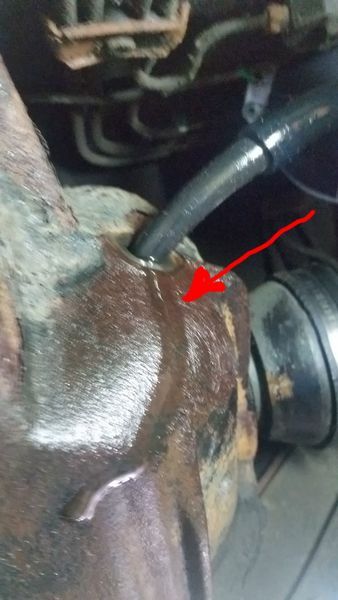 Now that I knew that, it was time to throw a pan under and drain the old fluid. While the fluid was draining I thought it was a good time to clean up the two plugs a bit. 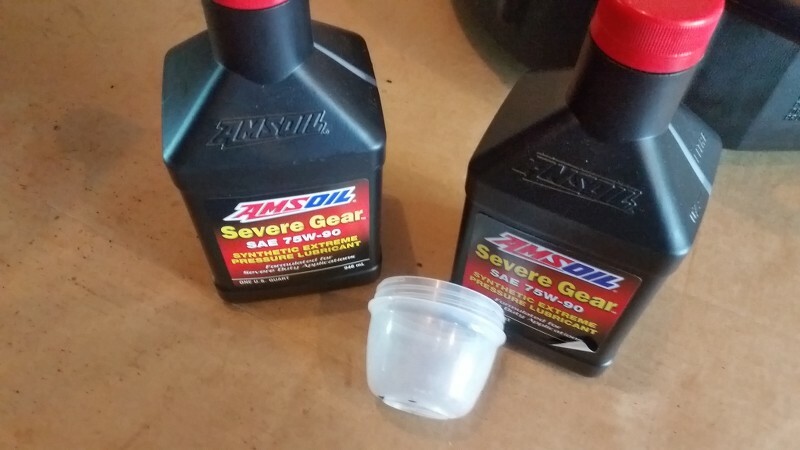 The one with the magnet on the left is your drain plug and will probably have some heavy gunk on the magnet, you can go ahead and clean that up. 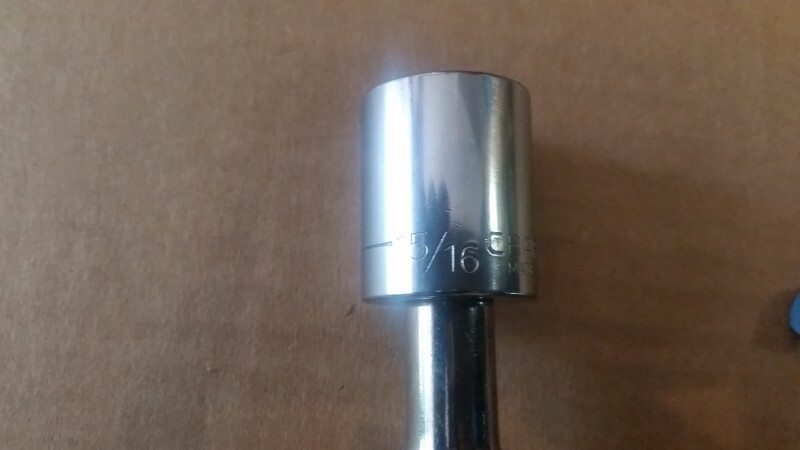 The one on the right is the fill plug. I ran both of the them on the wire wheel to clean them up. 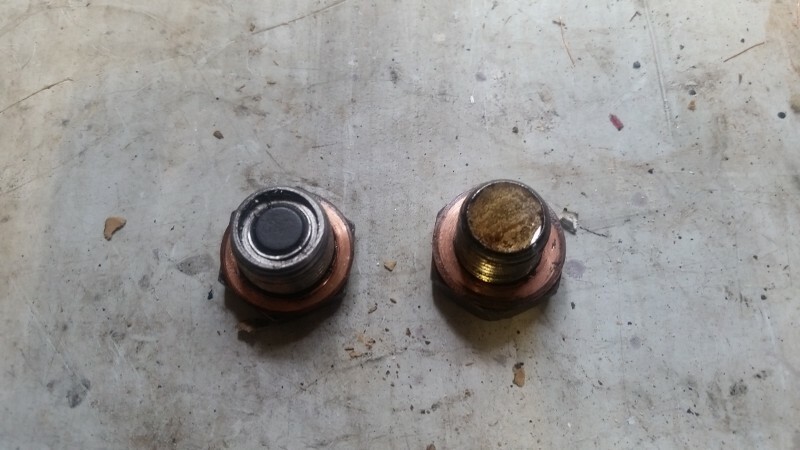 Be careful of the copper crush washers found on both of the plugs. I cleaned both the washers up real good with some brake clean. If you have a store of copper washers laying around and have some that fit, using new ones probably isn't a bad idea. I didn't realize they were copper until I had the plugs out and didn't have the time luxury to buy new ones, so I reused the originals. Don't try that will coolant lines or fuel though, usually doesn't work. 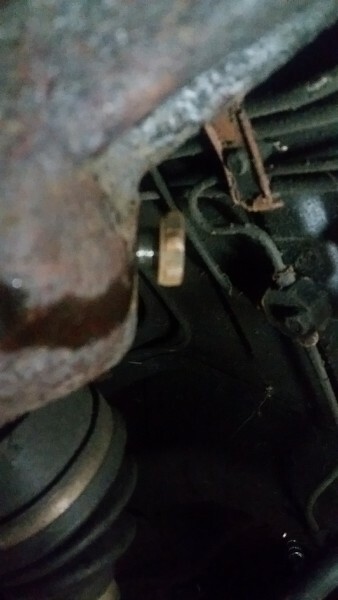 Once all the fluid has drained out you can put your drain plug back in with your 15/16th and get ready to go back the other way. 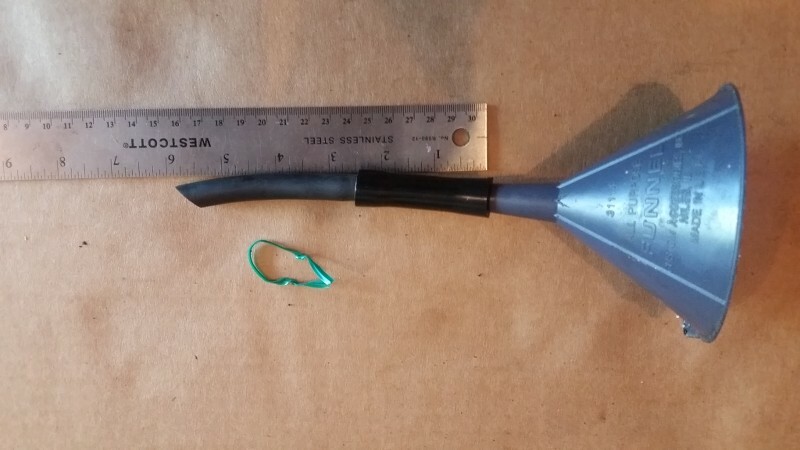 First thing I did was find one of the smaller funnels I had and rigged up about a 6 inch feed tube with some extra hose I had laying around in the garage. I also cut myself a small piece of a wire tie .. more on that in a minute. 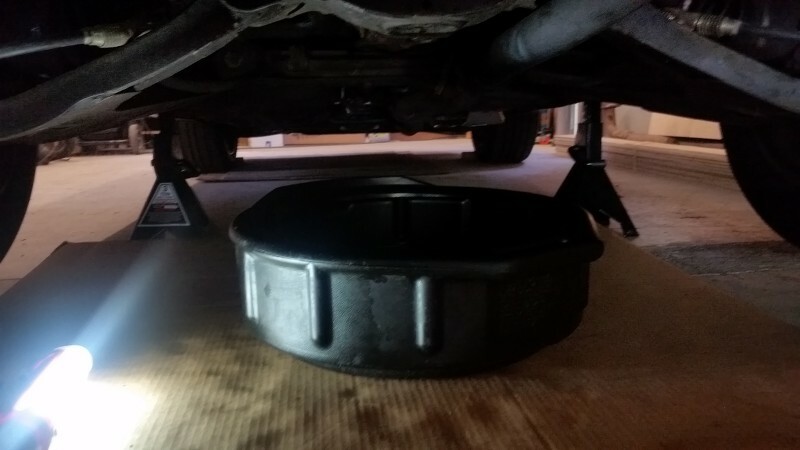 There's not a ton of room under the car to refill your diff easily, but it can be done. 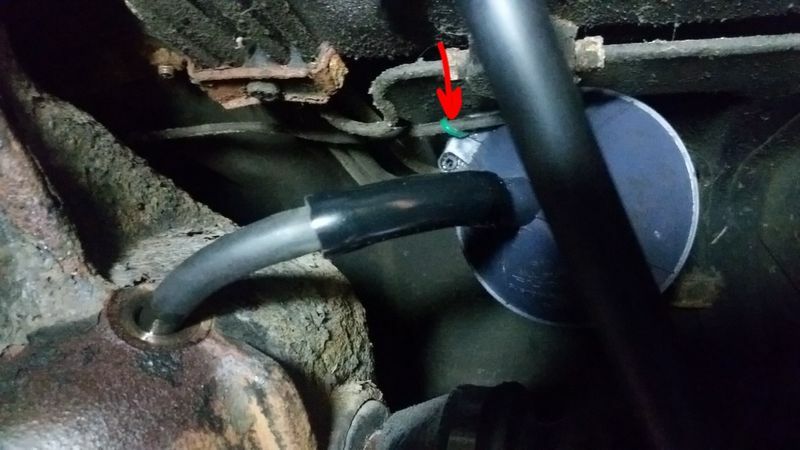 I wedged my funnel up under the car like so, and used the wire tie to hold the funnel to the brake line right near the rear splitter. Here's another look at it from a slightly different angle, looking a bit more toward the drivers side rear tire. You can see there's a pretty good amount of room in the area in the red to get your hand up in there an pour. If I were to do it again, I might try taking the drivers side rear tire off and use a longer hose on my funnel ... might be easier ... not sure. At this point I stole a small plastic container from the kitchen, about the size of a baby food jar to use to pour the fluid into the funnel since I determined there was no way I was gonna get a whole diff fluid bottle in there. I'm not gonna discuss in this thread what oil to use, what's good, and what's not. If you're looking at this I'm assuming you've already done that homework and probably have already purchased whatever it is you're using. If not, there's lots of good threads you can read up using the search button. The FSM calls for a 80W-90, I can tell you that much. Depending on what threads you read and what oil you choose to go with, you might need/want to purchase an LSD additive as well. Almost done. It took me a little bit, but I just kept filling the little cup and pouring it in slowly. 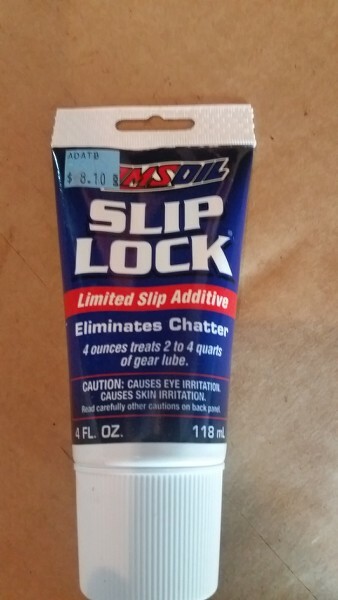 You need about 1.3 quarts so you won't quite use 1/2 the 2nd bottle. Just keep filling till it starts coming out the fill hole. 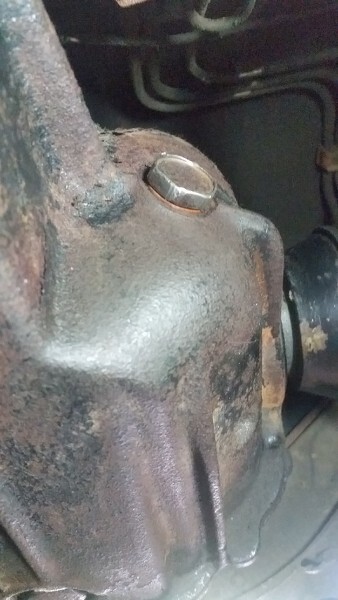 Put your fill plug back in and tighten it down snug. 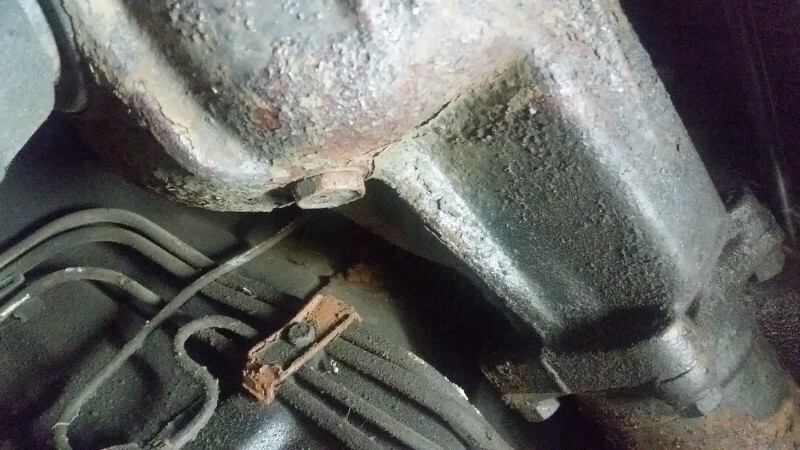 You can also sneak one last look at your drain plug too while you're under there. Make sure you don't see any weeping now that you've got fluid back in the diff, esp if you reused the copper crush washer. 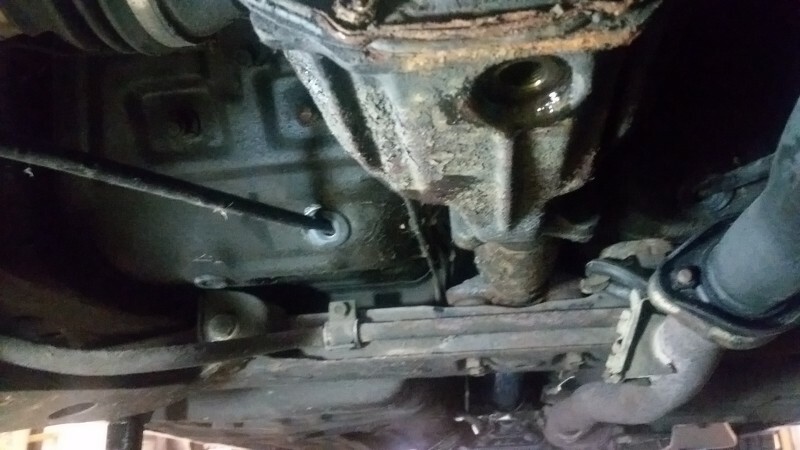 One last thing, I took a can of brake cleaner and sprayed the whole diff down and cleaned it up real good so I could keep an eye out for any future weeping or leaks. If all goes well, it should look something like this when your done. Clean up, put your car back down on the ground and go for a test drive.